Scorpion is an authority in racing engine parts and the leading manufacturer of rockers in the U.S. Pit Stop USA is The Online Motorsports Superstore! Scorpion Performance, Inc., a manufacturer of high-precision auto parts, Scorpion Performance, Inc. is wedded to automation, which has led to a marked leap in its productivity, and results in even greater precision in the critical parts the company makes for automobiles a" and an ever-widening range of industries. Scorpion Performance Inc. is an authority in high-performance racing engine parts. Race enthusiasts have proven internationally that Scorpion Performance Inc has achieved incredible milestones through advanced technology. 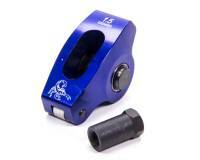 Scorpion Performance Inc is the leading manufacturer of rocker arms in the U.S. The companyas latest generation of robotic-controlled machine tools has resulted in a 200 percent increase in productivity a" more than offsetting Chinaas incredibly low-wage advantages. And thereby taking one small step toward correcting the nationas gargantuan trade obligation with China. Scorpion today is adapting the latest machine tools and Robotics. Emphasizing Made in America. Because the Automotive Industry is #1 contributor to the trade deficit and foreign Vehicle Parts are the #3 contributor. Scorpion Performance is one of few companies making a difference through actions not words. 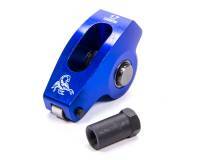 Scorpion Race Series Aluminum Roller Rocker Arms are blue anodized and have needle bearing fulcrum assemblies, wide contact roller tips and locking nuts. 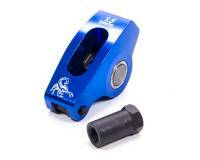 Scorpion Pro Series Aluminum Roller Rocker Arms are a CNC-machined, narrow bodied rocker arm that clears up to 1.625" diameter valve springs and has centerless ground trunnion, needle bearing fulcrum and smaller, lighter roller tip. 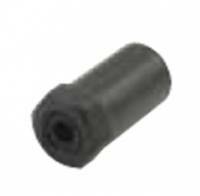 We feature Scorpion Race Series Aluminum Roller Rockers and Scorpion Pro Series Aluminum Roller Rockers at low everyday prices.